We believe in being 100% transparent here at WWW Beauty, and we'd be lying if we said we don't have exceedingly high expectations when it comes to a face-perfecting foundation formula. As makeup artists can attest, foundation is one makeup category makeup worth splurging on because you often get what you pay for regarding finish, naturalness, and longevity. Since we greet the world with the skin on our face, we always want our complexion to live up to its full potential, and, simply put, we have zilch time for unflattering shades or difficult application. That said, there is a select—let us emphasize—a very select group of drugstore foundations both celebrity makeup artists and product-jaded beauty editors stand by—formulas so good we actually apply them on the regular and keep stocked next to our bottles that are three, sometimes five, times the price. Curious to know which affordable drugstore foundations actually stand up to our super-high standards? Keep scrolling. Ahead, we're naming 16 of the best drugstore formulas you should most definitely swipe next time you're at CVS, Rite Aid, or wherever you make your tampon, deodorant, and Trident Layers runs. 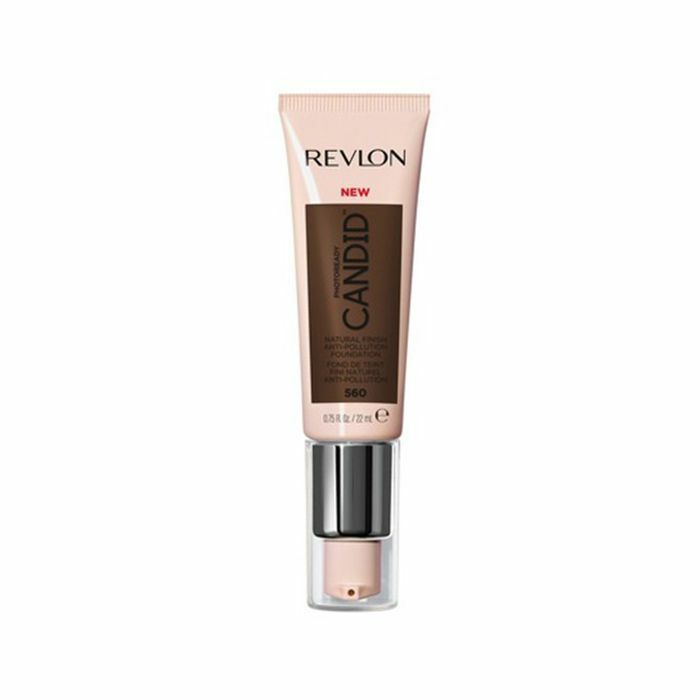 “When it comes to a foundation formula that won’t break the bank but will deliver on performance, this new option from Revlon is a fantastic and affordable option. A lot of drugstore foundations can be a little on the heavy side, which leaves the skin with a one-dimensional finish. The great thing about this formula is it has buildable coverage for a flawless end result, but it still lets enough natural texture show through so the skin looks healthy and radiant. “I always like to start applying foundation to moisturized skin using a medium-sized synthetic buffing brush to polish the product onto the face, starting in the center and working outward. Then, I’ll warm the product on the back of my hand and go back in using my fingers to pat the product on areas where I need a little more coverage, which is generally around the nose, across the cheeks, and around the chin and lips." "This drugstore foundation by L'Oréal is one of the best. I love it because it's available in two different formulas depending on what kind of finish you prefer—one that's more matte and one that's more glowy. This makes it a great option for both oily and dry skin types. "Both formulas offer great coverage, while still being buildable. I'd definitely recommend applying either of these with a flat, dense foundation brush for the best results, and each tube comes in under $15!" "Maybelline's best-of-the-best formula offers a variety of shades, undertones, and finishes, which I appreciate as a makeup artist. Just like the L'Oréal foundation, it comes in two different formulas, mattifying and hydrating," says Madrigal. "This foundation is more medium coverage but still allows for buildable coverage without calling up or setting into fine lines, and it's actually my personal go-to backup foundation for myself. "I will also use this on my clients when they're looking for coverage but something that doesn't feel heavy on the skin. To create an airbrushed finish, use a beauty sponge. For a more affordable option, Real Techniques sells a sponge for a fraction of the price of the leading brand!" "This drugstore foundation is also one of my favorites!" Madrigal exclaims. "Nyx Cosmetics, thank you for makeup inclusivity and these 45 shades of goodness. This lightweight formula is technically intended for combination skin, but it is also safe for sensitive skin types. It offers a lightweight formula but is buildable, and the color stays true for up to 24 hours of wear. This formula comes in a matte finish, so this is great for oily skin, and I recommend applying it with your favorite makeup sponge." "For normal to dry skin, my go-to drugstore foundation is this luminous formula from L'Oréal, which creates a more sheer finish with a dewy effect. It reminds me of Giorgio Armani's Luminous Silk Foundation ($64) with a much cheaper price tag. "I like to apply this foundation with a dense type of brush, my go-to is It Cosmetics Heavenly Luxe Complexion Perfection Brush #7 ($48). Then, I like to blend the product in to look even more natural with a damp Beautyblender ($20), this is also where you can build up the coverage in certain areas of the face depending on how you like the finish." "As far as the best drugstore foundations go, I love Maybelline's Dream Cushion formula. I feel you have a lot of control with this foundation, and it's easy to make look natural. For the application, I suggest using a sponge, your fingers, or a brush. This is a really easy formula to work with." "My go-to drugstore foundations are the Maybelline Fit Me Dewy + Smooth Foundation ($8) and the E.l.f. Cosmetics Flawless Finish Foundation. The E.l.f. Cosmetics Flawless Finish Foundation is also a favorite because it has a semi-matte finish and is great for helping textured skin look smooth and radiant. "With both foundations, I love to start by applying the foundation with a fluffy tapered blush brush and really buffing it into the skin. Then I take a wet Beautyblender and press into the skin to really allow the foundation to melt into the complexion." First, I'd like to point out that this drugstore foundation formula has had a super-inclusive range of shades for a long, long time—way before other brands finally started to catch up. I first started wearing this foundation in college when I barely had enough money to pay for laundry every week and was obsessed with the coverage, blendability, and flawless finish. I still wear it and think it's one of the best drugstore foundations on the market. Typically, I'll just apply it with my fingers, my Beautyblender, or MAC's 132S Synthetic Duo Fibre Brush ($35), aka the best foundation brush in the world and the only one I'll use. Ugh. This foundation is just so, so good. Even though I own too many foundations to count that are all $30 or $50 and over, I wear this healthy, SPF-infused one from Physicians Formula the most. I've also noticed I receive the most skin compliments when I'm wearing it. My previous makeup-goddess boss Faith Xue over at Byrdie got me hooked on it, and honestly, Faith, thank you. It's complete with good-for-your-skin ingredients like a specialized brightening complex, hyaluronic acid, and vitamins A, C, and E. As far as foundations go, it's truly the gift that keeps on giving. Plus, my fellow beauty editor and roommate Amanda Montell is also a fan, so you know it's good. Breaking: 100% vegan and cruelty-free brand Pacifica just launched this brand-new foundation that's chock-full of glow-getters like hyaluronic acid, coconut water, and aloe vera, which not only helps your skin's health in the long run but makes your daily application look flawless to boot. It delivers a radiant, practically poreless finish, comes in 30 different shades, and is completely free of silicone, parabens, phthalates, talc, BHA, BHT, petroleum and drying alcohols, and basically everything else your skin never wants slapped on top of it. There's honestly nothing better than a stellar multitasking makeup product, especially when it costs less than $10. This drugstore foundation is Amanda's first pick when it comes to an impeccable and affordable option that will quite literally make your face look flawless in two seconds flat. It's one part concealer and one part foundation and helps curb the voracious appetite of dark circles, redness, and other skin saboteurs we try to diminish. Drew Barrymore is a low-key beauty fiend (just check out her IG for proof), so it was no surprise when she launched her own line of affordable beauty products a few years back. This illuminating drugstore foundation from the brand is one of our all-time faves and provides impeccable, long-lasting coverage that literally gifts even the dullest of skin with a lit-from-within glow. Plus, we appreciate that our skin feels virtually naked whenever we wear it. This iconic foundation formula from Revlon has been around forever, and just like some of its affordable drugstore counterparts, it comes in two different formulas to cater to different skin types—normal/dry or oily/combo. I used to wear it in high school, and my former beauty-editor co-worker Lindsey Metrus at Byrdie still swears by it to this day. It looks good for a full 24 hours (though we hope you don't ever have to wear a full face of foundation for that long), has a helpful dose of SPF 20, and is super buildable so you can easily customize your coverage. I recommend using a Beautyblender or your fingers since your body's natural warmth helps the foundation melt into the skin seamlessly. In fact, we actually think the finish looks better and better the longer it sits on your skin. No kidding. Cream foundations (especially ones hailing from the sparkling aisles of the drugstore) have earned a little bit of a bad rap over the years. However, we think this epic formula from The Honest Company has finally changed that. As makeup artist Neil Scibelli told Allure late last year, the formula goes on super sheer in a way that's similar to a tinted moisturizer, but it's also easy to layer if you prefer more coverage. "It offers a believable, skin-like finish that isn't cakey," he said. For those who prefer powder foundation formulas, this mattifying option from Burt's Bees is without a doubt your best bet while shopping at the drugstore. We've even heard those who despise everything powder foundation out there praise its application and coverage, and it also helps curb shine and blur other skin disturbances like breakouts or discoloration. Wet n Wild is one of our all-time favorite drugstore brands, and its offerings also happen to come in at wallet-friendly prices. To ensure wearers look good in every kind of lighting (yes, even that devil fluorescent), the brand tested this light-reflecting foundation under seven different conditions so you never have to worry about your complexion looking anything short of natural and radiant. We'd definitely describe the finish as matte but not so matte that our face looks flat or parched post-application. We recommend fingers or a makeup sponge for best results. Next up, you can fake a full eight hours thanks to these $12-and-under concealers.